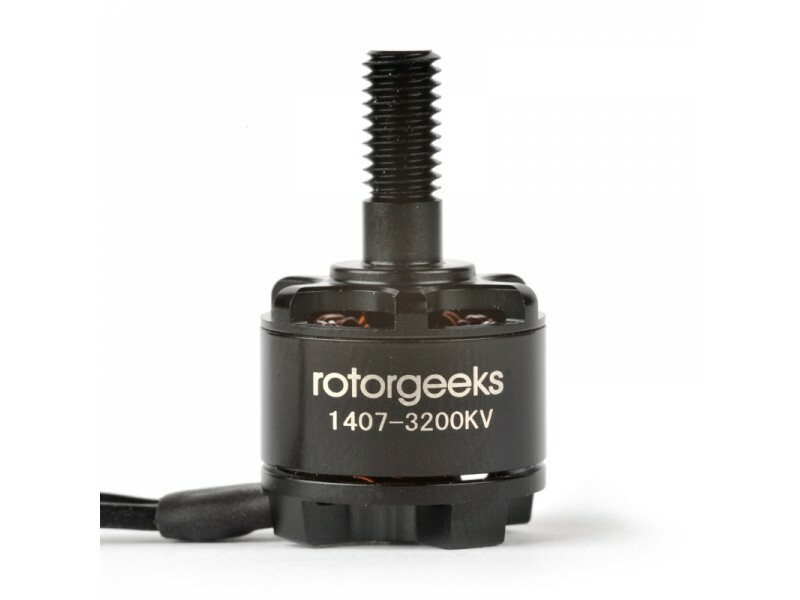 The Rotorgeeks 1407 continues the tradition of high performance, tough, serviceable motors. Originally designed in April 2016, the 1407 has undergone 4 major revisions in quest for the ultimate lightweight powerplant. 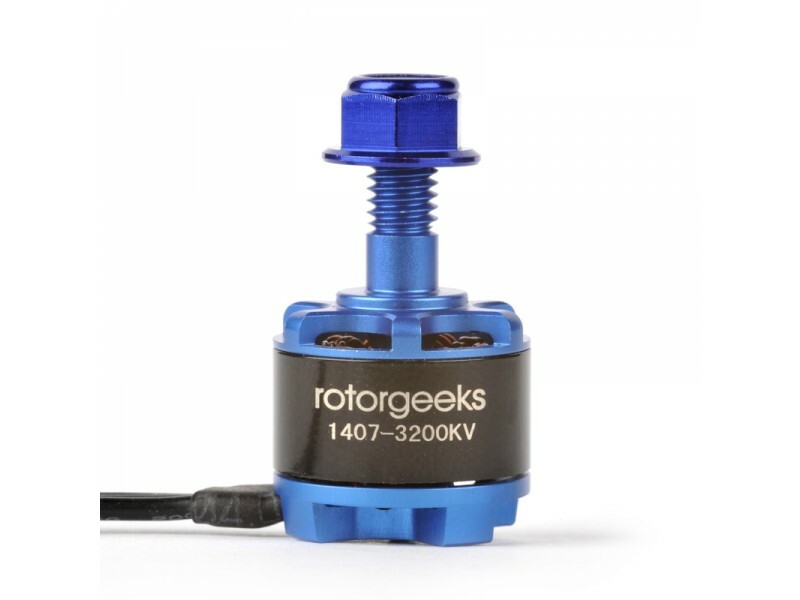 The final version is a top performer in its category as well as the lightest, coming in at only 14g with locknut! Case design engineered for light weight and maximum cooling and airflow to the windings. 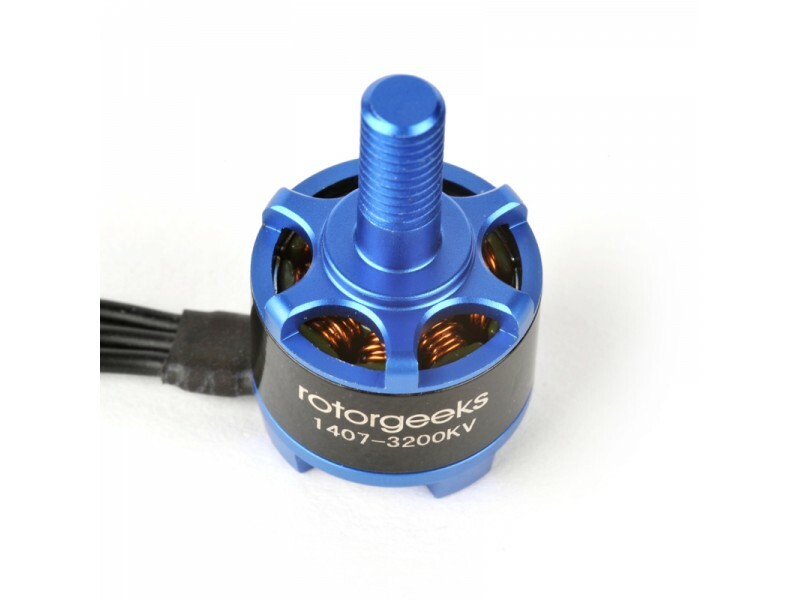 We’ve been running the 1407s in various configurations – it's a very flexible motor, typically running on 3-4S power with 3” and 4” props. 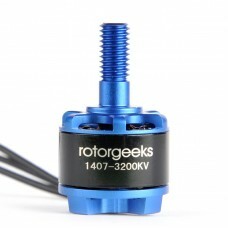 We’ve run the 4000kv on 4S with props as high as the HQ 4x4.3x3 V1S We’ve even run the 3200kv on 5x3. In most cases the battery is the limiting factor rather than the motor. 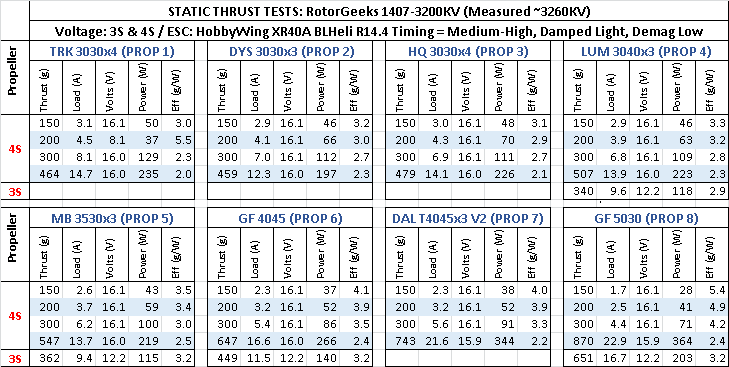 All of our test machines have been running the very small and light Cicada 10A ESCs which can run DSHOT (up to 600) and handle 4S voltage. Alternately the Cicada 20A 4-in-1 ESC is a good choice for those that want to run their electronics in a stack. We prototyped with the trendy ‘hollow shaft’ design. It added weight in an area where there was no requirement for additional strength when using 7075-T6 Aluminum. 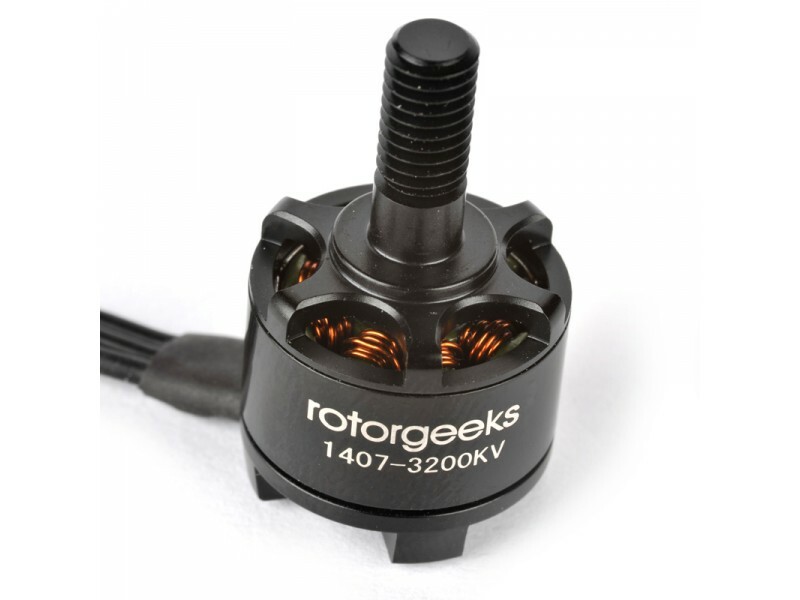 A steel shaft also restricts the inner diameter of a stator, which is undesirable when designing a small, light motor. 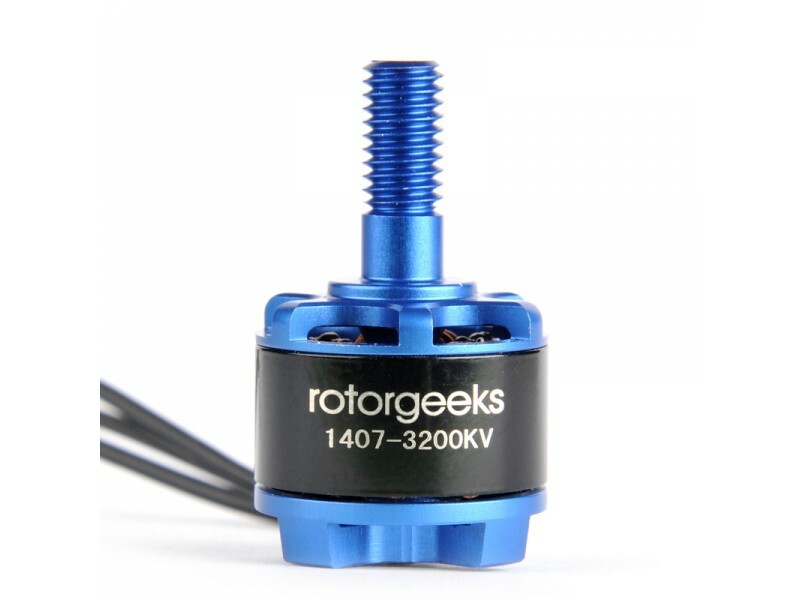 The only motivation we could find for a hollow shaft in this size motor was cost savings (the block of aluminum that the rotors are milled from can be substantially smaller without the height of the prop adapter on top).